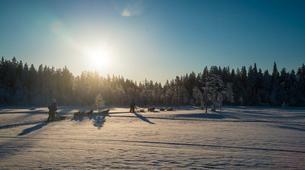 Mush like a local on this sledging masterclass near Rovaniemi! 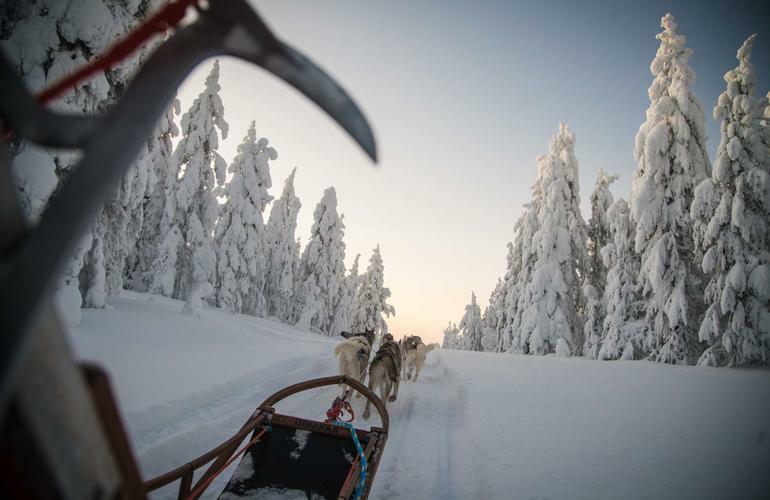 Master the basics from a team of genuine mushers and their four-legged friends on this dog sledging lesson near Rovaniemi. 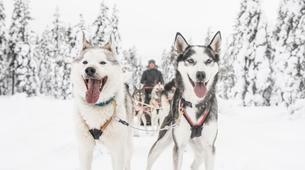 A chance to explore the Finnish Taiga forest and learn how to drive your own team of Siberian Huskies – leading the pack as you race across frozen lakes and winter plains – high in the Arctic Circle! 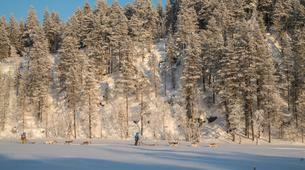 This activity takes place in Sierijärventie near Rovaniemi. 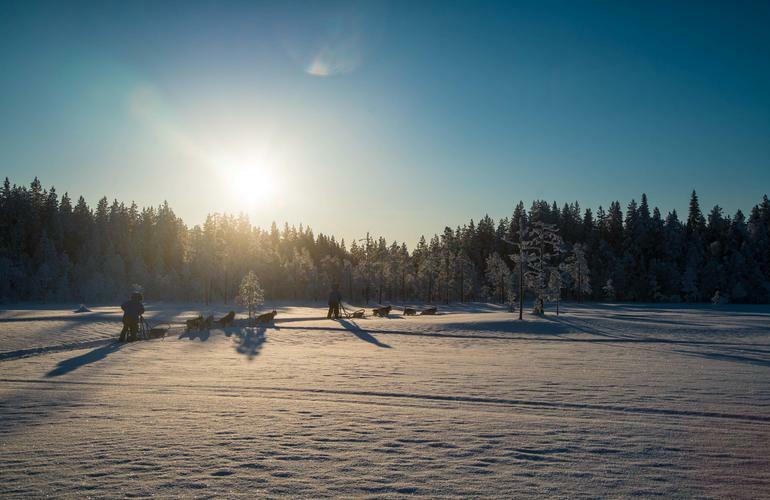 A traditional farm and yoga retreat, this scenic location in Lapland is located on the shores of Lake Sierijärvi and neighbouring pine forest used for dog sledding. 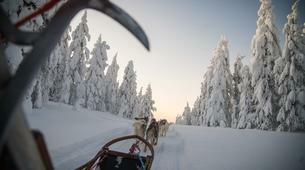 Meet your guide at a traditional husky farm on the outskirts of Rovaniemi for this dog sledging lesson. 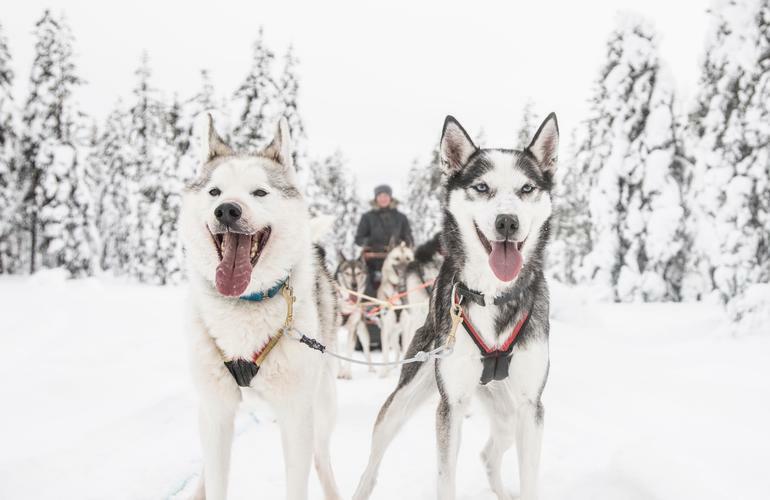 Putting you in the driving seat, your instructor will teach you all the essentials – from preparing your dogs to learning the voice commands. 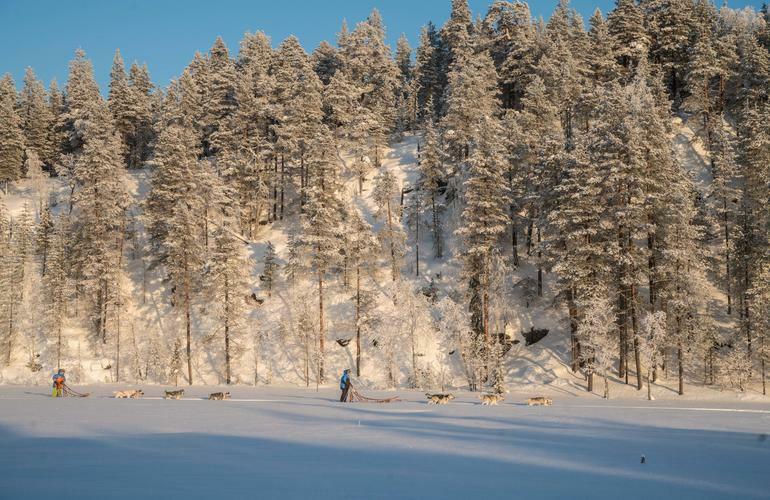 Getting to know your pack, understand the importance of sledge control and turning – trying a practice run before you head out on a 25km scenic tour through the forest. 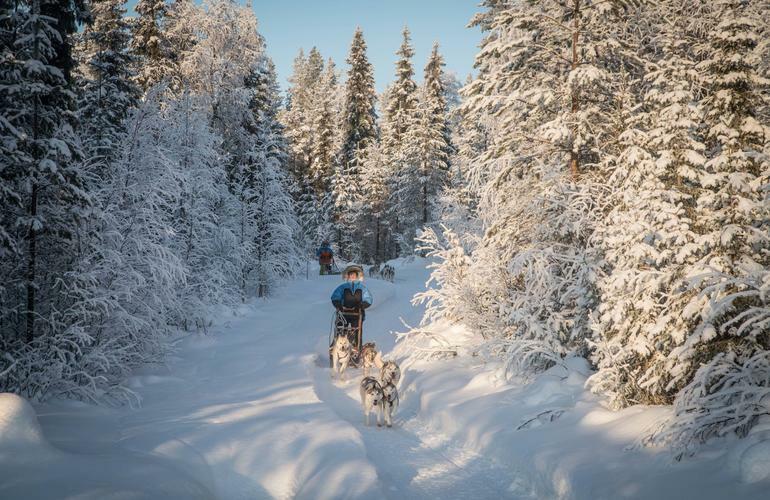 Unlike other husky drives – you will follow a lead guide that will set the pace and allow you to ride in his tracks – giving you a true taste of Finnish life without it feeling too frenetic! 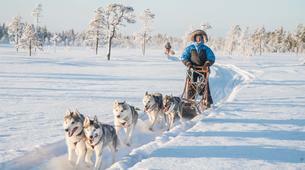 Travelling across a frozen lake to a winter clearing, stop to tend to your Huskies, enjoying a warming mug of grog and sit around the campfire. 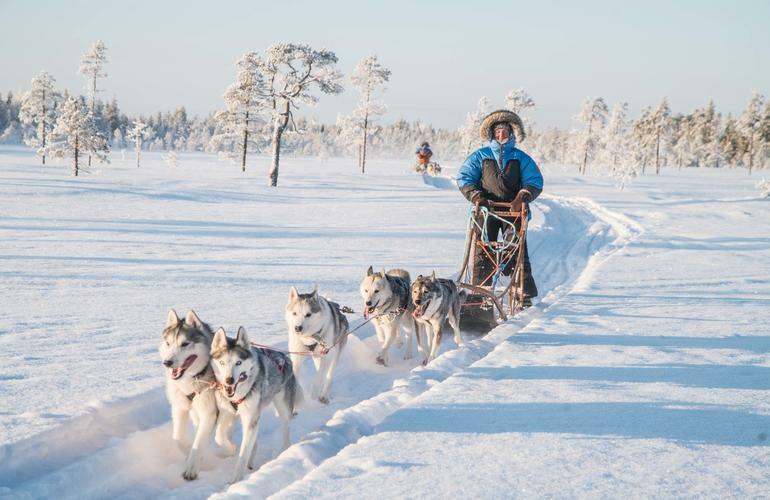 After a break, you will drive on to some exciting hilly terrain where the dogs will really show you their power and potential – reaching speeds of 10-15km/hour. 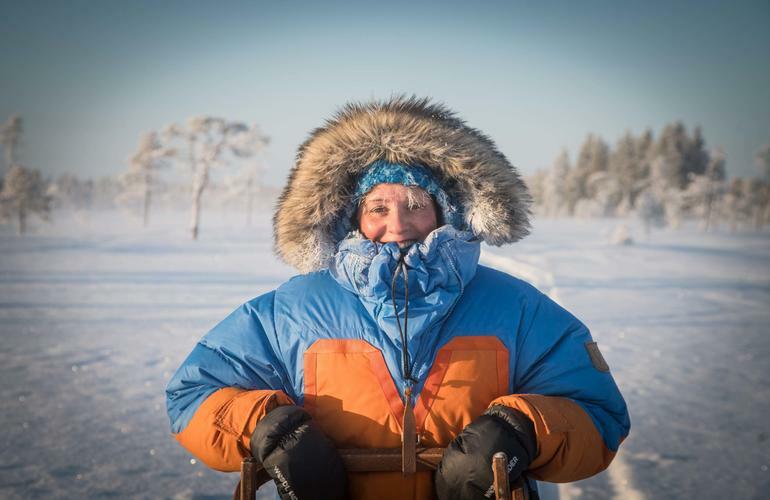 Returning back to the farm, there will be enough for a few farewell cuddles with your faithful team – returning to Rovaniemi where your adventure will end. 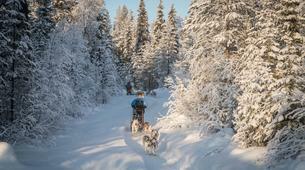 A mushing masterclass suitable for adventurous beginners over the age of 16 years old. 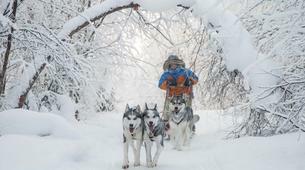 This is a hands-on experience not suitable for small children. 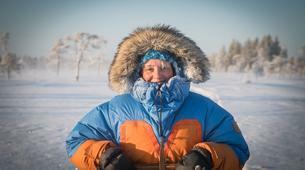 Operating during the Arctic winter from December-April, please dress appropriately with winter boots and warm outerwear. 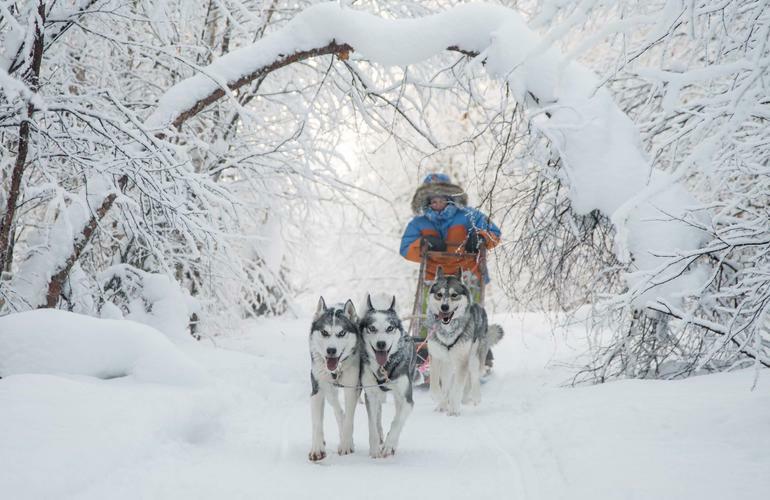 This was our first adventure with dog sledding and it was one of the most spectacular and special activities we’ve ever experienced.